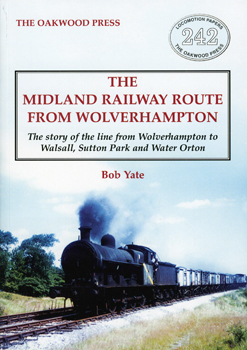 This route comprises three lines: Wolverhampton High Level to Walsall, Walsall to Water Orton (on the Midland Railway Birmingham-Derby line) and Alderidge to Brownhills. The first line was opened by the independent Wolverhampton & Walsall Railway in 1872, but operated by the LNWR until 1876 when it was acquired by the Midland Railway who constructed the second line with its associated triangular junctions, opening in 1879, with the branch to Brownhills following three years later. The authorisation, construction and operation of these lines are examined in detail up to closure and to the present day. Only the section from Walsall to Water Orton remains open, for freight traffic only. Photographs and detailed maps illustrate the locations on each line. Also included are maps relating to lproposed, but uncompleted lines. The many industrial lines connected to each line are also discussed and details of locomotives at work on these are listed in a separate appendix.